A selection of some of the documentaries & TV shows which have been produced over the years about Uri Geller. Oscar Winning Vikram Jayanti’s BBC Documentary about Uri Geller. Oscar gewinnt Vikram Jayantis BBC-Dokumentarfilm über Uri Geller. Simon Cowell’s ‘Uri Geller: A Life Stranger Than Fiction’ Documentary. Edgar Mitchell, Apollo Astronaut, the sixth person to walk on the moon, Discussing Uri Geller & the CIA testing. A documentary about Uri’s life and career. The first-ever documentary about Uri Geller, made in 1972. Previously secret footage recently released by the CIA. Video 1. Previously secret footage recently released by the CIA. Video 2. Astronaut and 6th man to walk on the moon Edgar Mitchell, former CIA officer Dr Kit Green, and scientist Dr Hal Puthoff discussing CIA testing of Uri Geller. ILTV News discuss the previously released CIA documents. Uri Geller interview by Andrés Oppenheimer, on Oppenheimer Presenta. Uri Geller on the Bermuda Triangle, Bending Spoons and Quantum Physics. A documentary about the secret history of the US remote viewing program, including Uri Geller. Macedonia TV highlight the released CIA documents. Did ALIENS Give a THREE Year Old Superpowers! Beyond Science investigates the potential cause of Uri Geller’s abilities. An interview in Hebrew with Uri Geller, with IBA World News. Uri shocks a live studio by stopping people from smoking. Uri Geller Interviewed about the new Uri Geller Museum in development. A documentary by eminent Greek journalist Kostas Hardavellas about Uri. A fascinating short picture biography of Uri’s life compiled by the former Science Editor of The Times, Neville Hodgkinson. 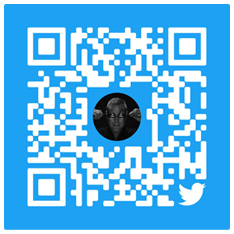 In the 1980s, Uri was tested in the Stanford Research Institute to determine whether his powers are “real”. The conductors of these experiments report the conclusion in this video. 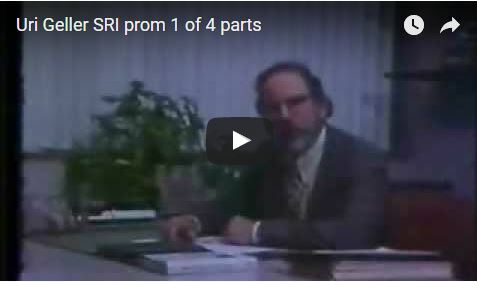 Russel Targ and Harold Puthoff conducted the SRI experiments on Uri. In this short video, they speak of these experiments. This documentary was produced by ITV (UK) after Michael’s tragic death. Uri featured in a 1974 documentary called Energy Fields Of Life, including bending a key which continues to bend once placed on a table. Uri featured in a documentary made in the 70s about the on going scientific research into the paranormal. This is the first German documentary featuring Uri, and includes David Copperfield sharing his thoughts on Uri Geller. A documentary for Focus Germany, about the CIA testing on Uri Geller as documented in the previously secret CIA records. 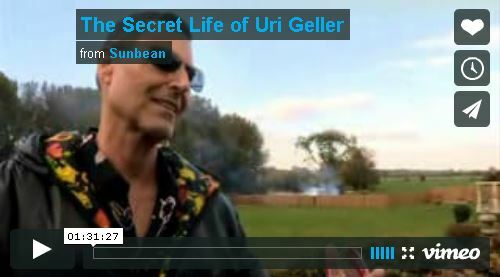 A very in-depth interview with Uri Geller with Yoram Yovel.